Developing speed of medicine is remarkable, so nowadays the studding fields would be subdivided. And Dr. Nakatani Yoshio who is originator, on the domain of acupuncture and moxbusion medicine has diversified the stuck of these data, since the theory of Ryodoraku has discovered on 1950. After the discovery, theoretical outline of the logical method seems to remarkably contribute to the scientific study on acupuncture and moxibusion. 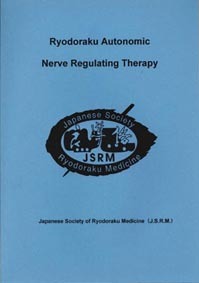 The study of Ryodoraku has observed function of sympathetic nerve on surface of skin through dermal Electro-conductivity. Consequently Ryodoraku found a correlative shape of organs, and it built systematic theory and therapy method. Accordingly the ancestor of Ryodoraku shouldn’t be meridians and collateral but the function of sympathetic nerve on surface of skin. Although acupuncture and moxbusion has three thousand historical experiences, it has many subjective rules of all aspect. On the other hand, Ryodoraku grasps objectively and numerically of their rules. This thinking is the foundation of science; therefore Ryodoraku is true medicine because it based on science. Recent years, the developing speed of science is remarkable, diagnosis occupied main current by the computerized intelligence management on the field of medicine. Therefore it is asked necessity of objective thinking instead of former subjective thinking. On this point of view, Ryodoraku therapy aims to scientific way of acupuncture and moxbusion. Because Ryodoraku is practiced on objective viewpoint from measure, diagnose to therapy by using statistic management since early times. So we can expect satisfactory effect when we practice to our therapy bn the base of logical outline of Ryodoraku. Moreover Ryodoraku therapy take in advantage of computerized software management in therapy of oriental medicine. Ryodoraku is ideal therapy method existing on combination with thought of oriental medical theory and modem westem medical theory. In this way, Ryodoraku is one of necessary therapy method in such times. By the way, this fundamental volume of Ryodoraku is translated from my book Ryodoraku Therapy: Bridging Two Worlds. I hope this textbook would be useful for doctor who wants to begin Ryodoraku therapy from now on. Vice Chairman, Science of J.S.R.M. Copyright © 日本良導絡自律神経学会 All Rights Reserved.